Justine MacDonald was one of the many travelers who commemorated the 100-year anniversary of the Battle of Vimy Ridge this past spring on a military-themed tour dedicated to Canada’s history in the First and Second World Wars. As a talented photographer, she shared her experience on tour, as well as a side trip to Belgium and Poland, when she returned home to Nova Scotia. We caught up with the photographer to hear more about her work and experience on tour. Looking back on your tour this past spring, what has stayed with you from that experience? I come from a military family. For five years, we lived in Germany. Most of the sites we visited on the Go Ahead tour this spring, I visited while we were living in Europe. These were family affairs. My parents, brother, and I would go on day trips or longer road trips all over Western Europe and many of these excursions were to military battlefields, monuments, and cemeteries. What made this trip different was going with a lot of other people from different walks of life, different experiences. Whether it was our bus of 30 or so travellers that we got to know over the tour, the 25,000 people at the Vimy ceremony, or random people we met on the street, I found it very interesting to get to know people. I enjoyed hearing their stories—especially from our wonderful Tour Director, Paola—and experiencing these sites from their perspective. Their thoughts and discussions on what we were seeing often helped me see and appreciate the sites in new ways. Why do you think it’s important for people to visit these significant World War sites? There is a lot we can learn from the past. Not the least of which is that it so “easily” happened before; it can happen again. Visiting these sites is a way to remember and respect those men and women who died serving their country, and the civilians caught in the line of fire. There was such a massive loss of life in these two wars, however, that it’s almost impossible to comprehend the numbers. Driving by the scarred landscape, running your fingers across the names etched in massive stone walls, walking through row upon row of headstones—you might not be able to fully grasp the large numbers, but can at least start to make the numbers printed in textbooks a little more concrete. I realize that it’s simply not practical for everyone to take this kind of trip. That’s why I planned to follow up my 2017 trip with this Remembrance Road Project (full credit to my dad for the title! ), which consists of two exhibits and a series of presentations, to try and bring the experience to my community here in Nova Scotia. I’ve heard amazing feedback so far. People are telling me how much they’ve learned and how things became more real for them after viewing my images and listening to my talks. While I did take photographs to document the trip, and the sites, I see myself as an artist more than a photojournalist. This label allowed me the freedom to create images that captured more of the spirit of the sites. In one cemetery I used long exposures to capture “ghosts of the past.” I chose angles that suggest power and strength, accentuate the numbers, or make the viewer feel confused and overwhelmed. Other photos I edited to try and transport the viewer to that time. I also tried to capture the little details that, much like the names on the stones, can easily be overlooked. Which sites from tour struck as you the most moving? Ring of Remembrance at Notre Dame de Lorette. It is a unique memorial in that it pays tribute to everyone who paid the ultimate sacrifice in this area of France, no matter their rank or unit and no matter which side of the battle they fought. Whether they were British or French or German, everyone on the memorial was someone’s child or parent or sibling or friend or comrade. To me, the memorial says that regardless of politics, and though it may have seemed like the world was tearing itself apart, we were also unified by our losses. Every site I visited left some kind of impression. But there are a handful that stuck with me more than others. Gold Beach—specifically the Mulberry Harbour in Arromanches, photographed above, is one of those. 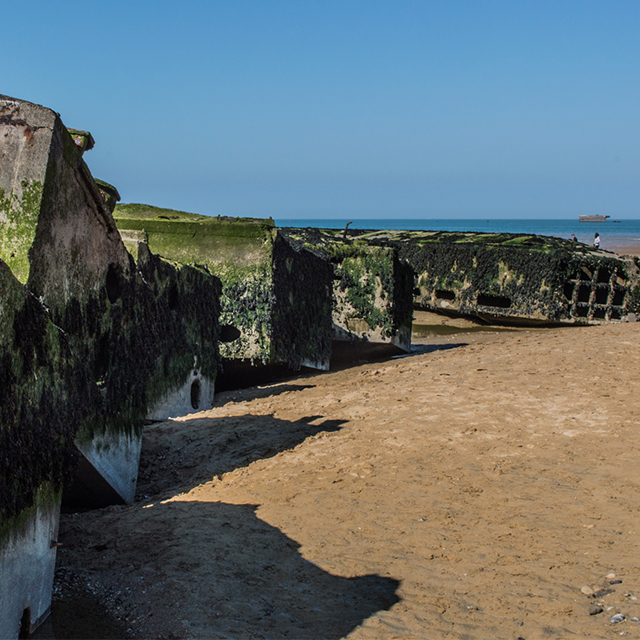 With the massive skeletons of World War Two still laying out on the beach 75 years later, residents are not allowed to forget. These aren’t quiet cemeteries outside of town, or memorials forgotten on a corner, or a forest closed off because of still-live ammunition. They are massive structures just off the high street, where children play, in view of the seaside cafes. Vimy Ridge is another of those sites. It was in 1998, when I visited Vimy for the first time, that I decided I needed to return for the centenary. Of course the Centenary ceremony was an amazing, moving experience, and the entire point of the tour. It was great to see so many people who travelled so far in order to remember and honour those who fought and those who died during the Battle of Vimy Ridge in 1917 and what that meant for our young nation. EF Education First, the Vimy Foundation, and other organizations that outfitted their groups with red jackets were a big part of that. The sea of red on the Ridge was awesome, but even more was seeing those jackets elsewhere before, during, and after the tour—Pearson airport, walking around Paris or Amsterdam, covering the landscape in the cemeteries. When you’re travelling, it’s always great to see a Canadian flag on a backpack or sleeve; seeing these jackets on the trip was a very different experience. We were all there for a common purpose. They also invited conversation from other travellers and locals. Military history is clearly very important to you. As a photographer, what other themes do you try to capture with your work? A lot of those themes continue to connect much of my work outside of this trip. I’m often drawn to the history of a place or a thing, or how others may have felt standing in the same spot; I like context and stories—real or imagined. I like to choose angles that make people think or throw them off kilter. Having said that, we’re doing pretty good on planet Earth right now and I like to inspire people to realize that, too. There are some amazing places to explore and people to meet if you allow yourself. Finally, I like to encourage people to also see the beauty of their own space—to get out and capture the world as THEY see it and share with others. To do that, I share photography from my area of Nova Scotia, or just from inside my house. Interested in this type of history-driven experience? 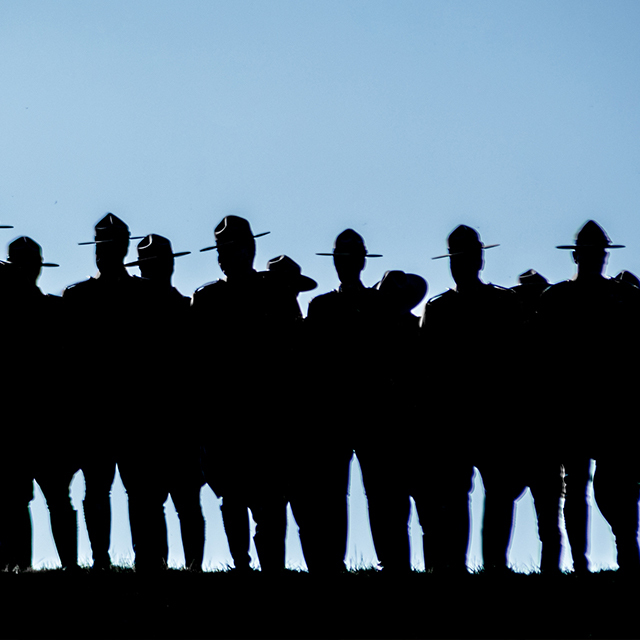 Our Canadian World War History tour in Europe may be right up your alley.